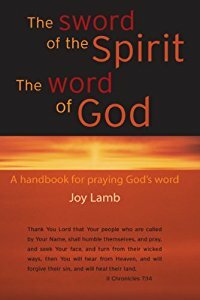 View cart “Sword Of The Spirit – Joy Lamb” has been added to your cart. Smith Wigglesworth was extraordinarily used by God to see souls saved, bodies healed, and lives changed. Even in the face of death, Wigglesworth did not waver in his faith, because he trusted the Great Physician. Your heart will be stirred as you read in Wigglesworth’s own words the dramatic accounts of miraculous healings of people. Many of whom the doctors had given up as hopeless. Discover how God can enable you to reach out to a hurting world and touch all with His love and healing power. 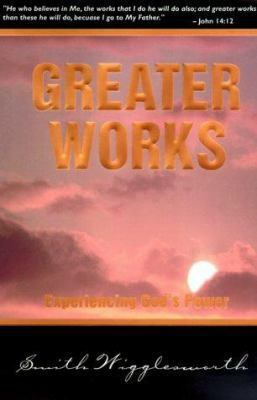 Read about the miracle healings of people being healed by the power of God as Wigglesworth minister to them. Called the Apostle of Faith, Wingglesworth was used by God to raise 17 people from the dead including his own wife. His most famous saying was “Only Believe!” Get your copy today and experience the true stories of the miraculous! On sale now at The Christian Healing Center. Smith Wigglesworth was extraordinarily used by God to see souls saved, bodies healed, and lives changed. Even in the face of death, Wigglesworth did not waver in his faith, because he trusted the Great Physician. Smith Wigglesworth was a straight-talking Yorkshire lad with little education, no training and no credentials, but he shook the earth with his miracle-producing faith. For four decades spectacular healings and deliverances followed his preaching of the Gospel in many nations of the world because of his faith. Demons were cast out and sick bodies freed from disease and pain at his divine healing meetings. Brother Wigglesworth believes that God answers prayer, and proves it. “Faith is the victory,” He quoted, then demonstrated the truth of it by praying for the sick and watching God heal them. Thousands were converted leaving new and revived churches everywhere he visited. Your heart will be stirred as you read in Wigglesworth’s own words the dramatic accounts of miraculous healings of people. Many of whom the doctors had given up as hopeless. Discover how God can enable you to reach out to a hurting world and touch all with His love and healing power. 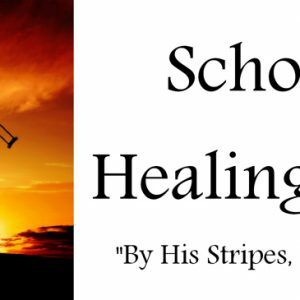 Read about the miracle healings of people being healed by the power of God as Wigglesworth minister to them. Smith Wigglesworth, often referred to as ‘the Apostle of Faith,’ was one of the pioneers of the Pentecostal revival that occurred a century ago. Without human refinement and education he was able to tap into the infinite resources of God to bring divine grace to multitudes. Thousands came to Christian faith in his meetings, hundreds were healed of serious illnesses and diseases as supernatural signs followed his ministry. A deep intimacy with his heavenly Father and an unquestioning faith in God’s Word brought spectacular results and provided an example for all true believers of the Gospel. Wigglesworth was used by God to raise 17 people from the dead including his own wife. His most famous saying was “Only Believe!” Get your copy today and experience the true stories of the miraculous! On sale now at The Christian Healing Center.